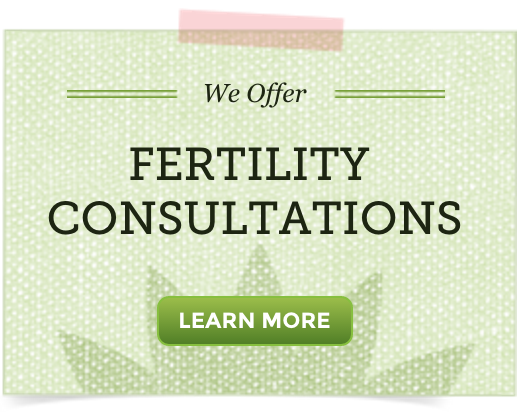 Balanced hormones are the key to a successful natural conception and healthy pregnancy. At times hormones can seem quite complicated to set straight, but what doesn’t need to be complicated is where to get started on your journey to balancing them naturally. When you have been struggling to get pregnant for some time, it can begin to sap you of positivity while simultaneously raising stress levels. One of the most important places to begin when looking to balance your hormones is to ensure you work to stay positive, and focused on your goal of conceiving, no matter what life throws at you. By staying focused on the positives, any other lifestyle changes you need to make will become much easier. An interesting study carried out at Emory University School of Medicine found that the women taking part in their study, who had stopped ovulating for more than 6 months, had high levels of cortisol (a stress hormone). This small study found that seven out of eight participants who received stress management therapy began ovulating again, versus two out of eight who received no intervention. Learning how to eat a nutrient dense, whole food fertility diet is a great way to begin your natural fertility journey. Not only are the foods that are part of the fertility diet nutrient rich, but many helps to provide the right blood pH needed to help make conception possible. The blood pH should be 7.2, which is slightly alkaline. Therefore, if we want to function optimally then we should be doing our best to keep it this way every day. Try to achieve a diet that consists of 60% alkaline-forming foods, and 40% acid-forming foods. But still keep healthy basics in mind when choosing your acid-forming foods. Don’t be afraid of choosing acid-forming foods either such as lean, organic animal protein as these are vital for hormone building, just be sure to top up the rest of your plate with plenty of alkaline-forming foods such as organic, dark leafy vegetables, chickpeas, cucumbers, sprouts, avocados, quinoa, and buckwheat. Most municipalities around the world spend a lot of time adding chemicals to our water to ensure it is left drinkable for us and our families. While their intentions are good, what is not so good is the fact that these chemicals remain in our water when we go to drink it, or shower and bathe in it. Some of these chemicals have been linked to causing some major health problems by credible scientists. Chlorine is one such chemical used to kill bacteria in our water, but its consumption may cause an underactive thyroid. It is important we don’t let this happen because when one endocrine gland is out of balance, this eventually causes others to follow suit due to extra demands placed on them. So it is vital you invest in a good quality reverse osmosis water filtration system for your household water, that helps filter out these unwanted chemicals and other toxins. Iam 40years old trying to conceive,my husband has low sperm we were told at the hospital, but he was not given any drug to be taking, he was only given an injuction 5yrs ago what can he do to increase his sperm? thank you. If he has physical or genetic issues causing low sperm count, natural therapies may not be effective. My case is unique and tough. My period stopped when i went through a lot of prolonged stress on my job. My body never recovered from the stress i guess. Also after reading your articles about healthy diet for women, i will also blame unhealthy diets as part of the cause. I am also a virgin, can it be the cause as well??. I have not seen my period in over 2 years. I am 32 in June. No husband nor fiance. The lab results did not give me any good news as some of my hormones are showing menopausal ranges even from age 28. I responded well to drugs (i think it was some contraceptives) ; where by i had withdrawal bleeding at the expected time. which herbs can i take to help my ovaries and womb in preparation to such a time when i might get married and try having a child? Also i am concerned about loosing the rest of my eggs through mensuration;leaving me with none for IVF in the future. i don’t know what else to do and who else to turn to. A friend of mine is in USA now. he can assist me receive the herbs, teas, tablets and bring them back to Africa for me. Can you please respond urgently? i will also like some fertility massage oil and tape. Help me. I am desperate and utterly confused. You mention to avoid acid forming foods like wheat flour, does this include whole wheat flour. I normally have one slice of yeast-free whole wheat sourdough in the morning with my eggs, should I avoid this too? I had a stool test done in Nov of 2012 that showed it was on the acidic side and the report said it could be that I am not absorbing carbs or that I have malabsorption. Would only following this diet help? I can’t really say for sure what you should do, these are general ideas and suggestions. If you have been tested and it shows your body is more acidic than alkaline, yes, avoiding acid forming foods may be helpful in balancing those ph levels. If you are interested in this type of diet, there are thousands of books and possibly blogs on the subject that can help you to learn a whole list of foods to avoid in your diet, as well as those to include. Overall, we find it best to eat a wide variety of nutrient dense whole foods. This ensure you are getting vital nutrients the body needs.